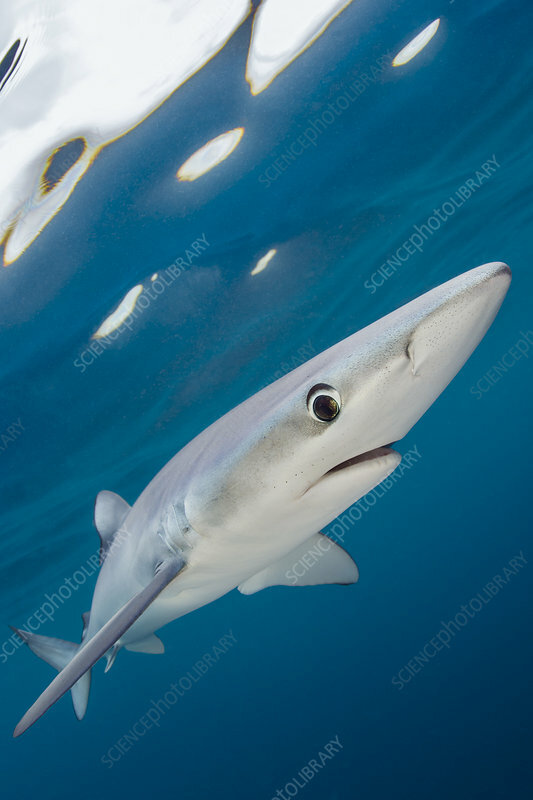 Blue shark (Prionace glauca) swimming near the surface of the English Channel. Penzance, Cornwall, England, British Isles. North East Atlantic Ocean, August.